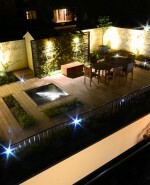 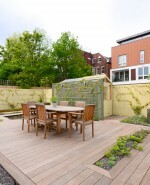 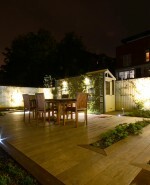 A roof garden set on top of an underground garage in West Hampstead and belonging to a modern property. 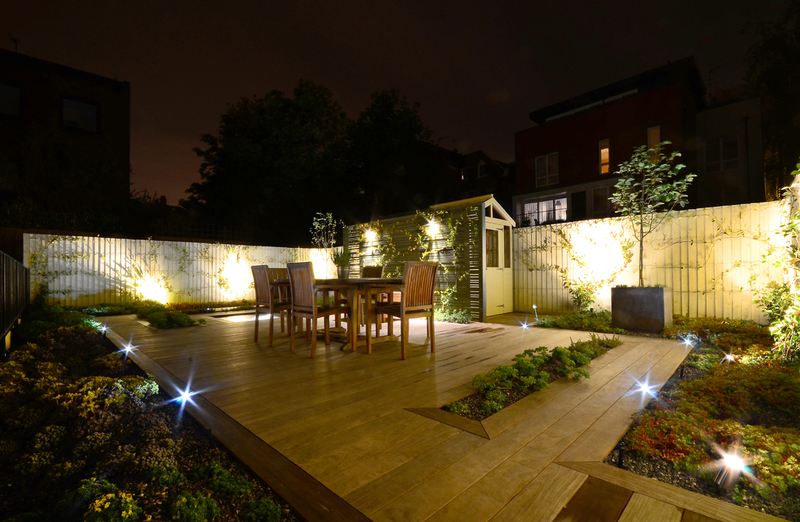 The brief from the client was to create a clean, contemporary and low-maintenance decked area to replace the bland lawn that was there originally. 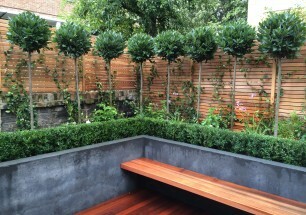 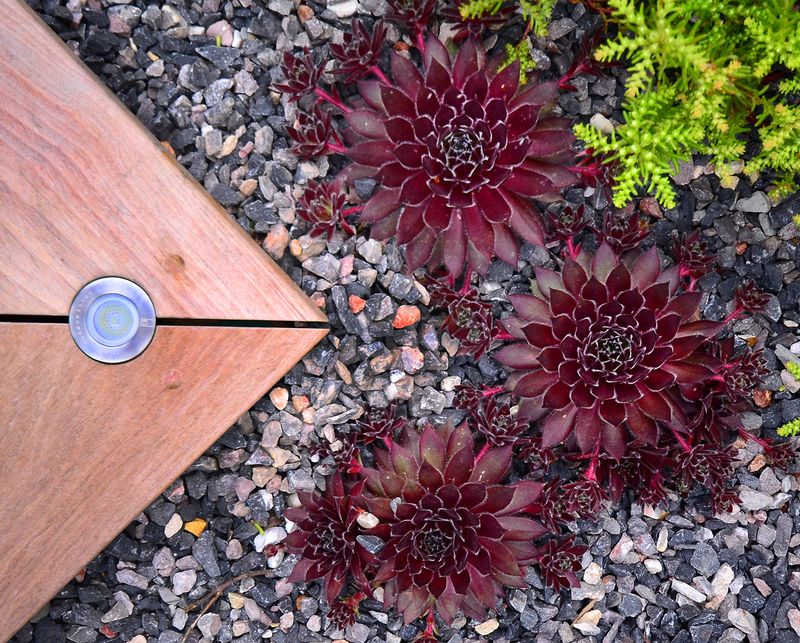 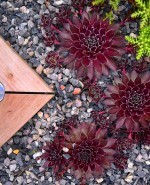 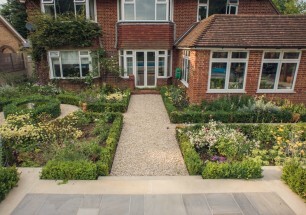 A mixture of dwarf euphorbia, pulsatilla, and seven species of sedum planted in undulating beds covered with a dark granite shingle soften the space, while evergreen jasmine climbers trained on to the fences and spring flowering magnolias in large, sleek cube planters provide height to the planting. 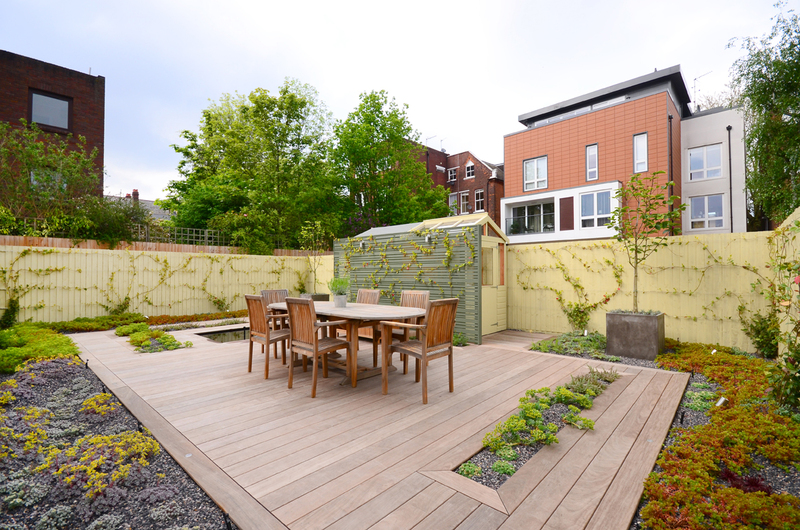 A ‘half greenhouse, half garden shed’ structure was incorporated into the design to give the clients storage and somewhere to care for houseplants and cuttings and seedlings to introduce to the garden. 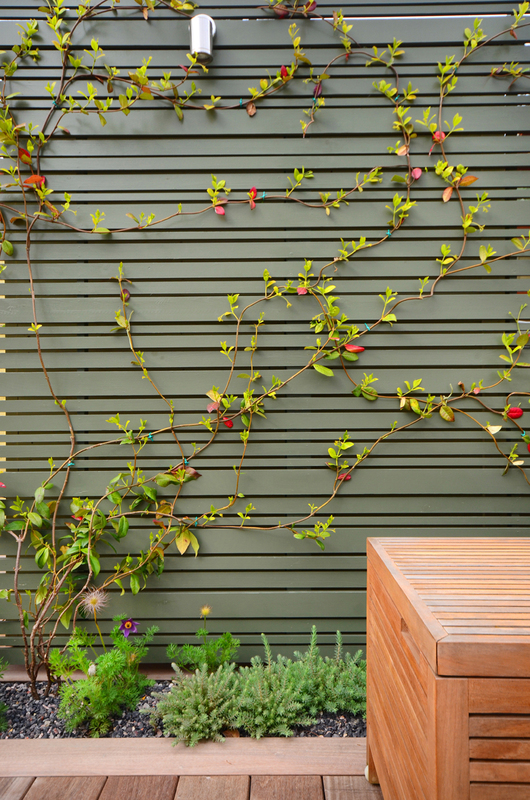 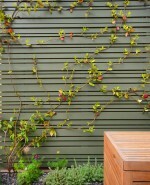 The structure is masked by a contemporary trellis screen made from horizontal slats of painted timber of varying widths. 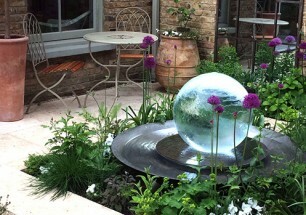 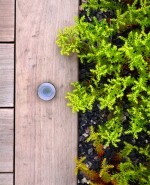 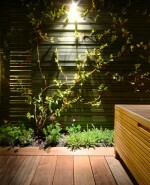 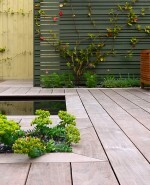 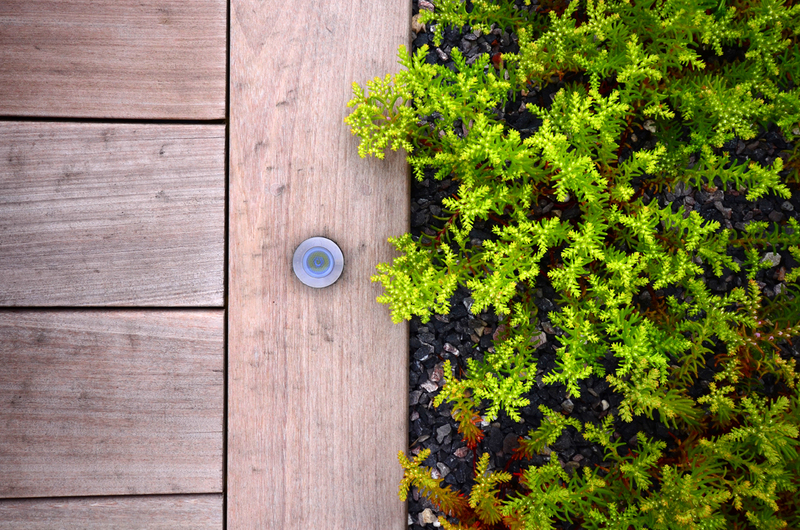 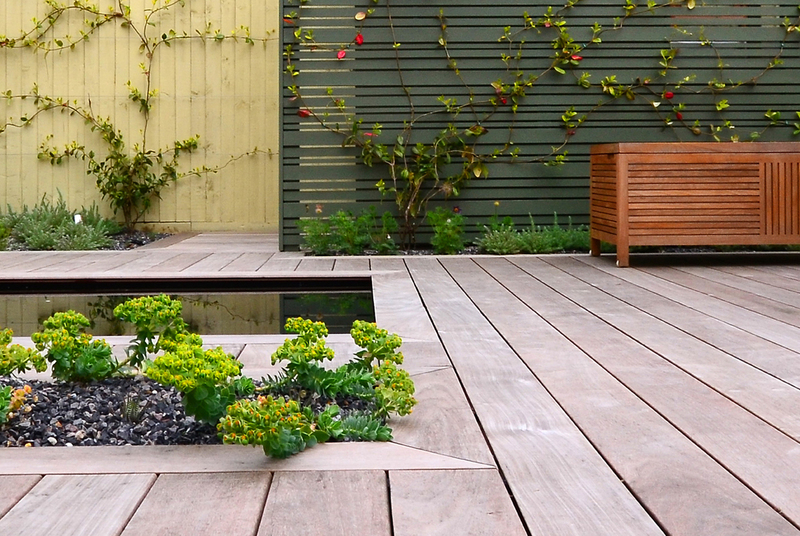 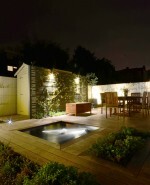 A simple pool of water with a fountain was sunk into the deck, bringing the movement and sound of water to the garden. 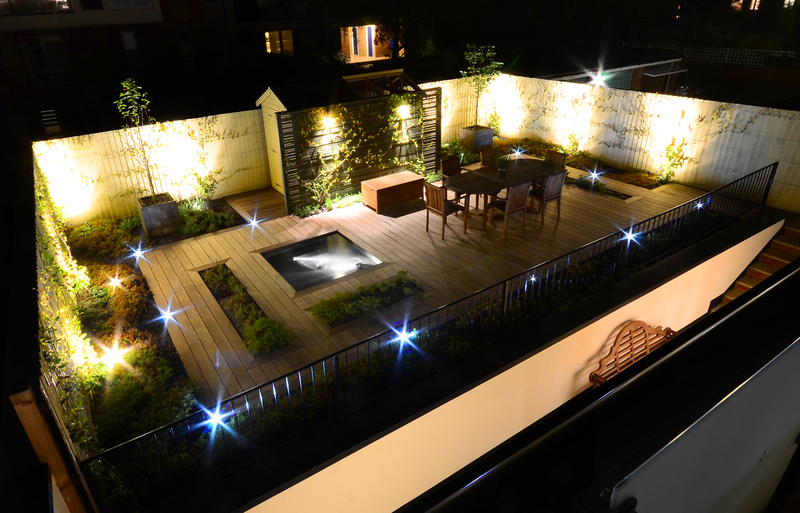 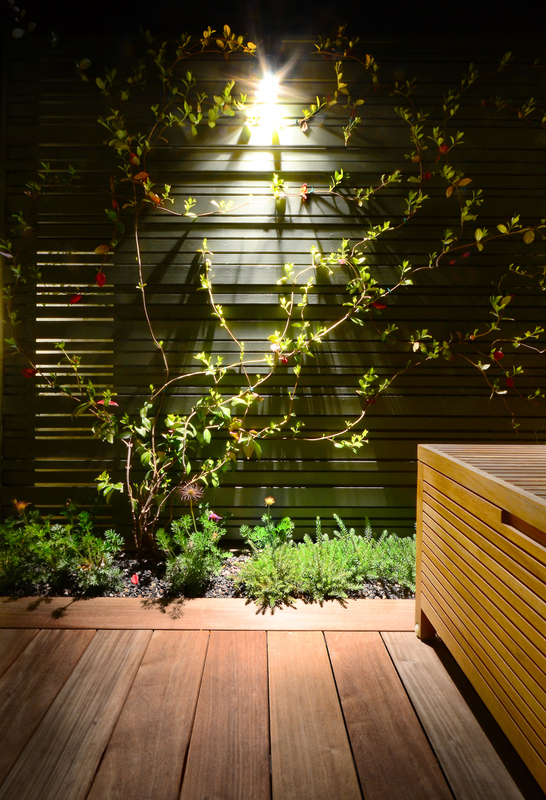 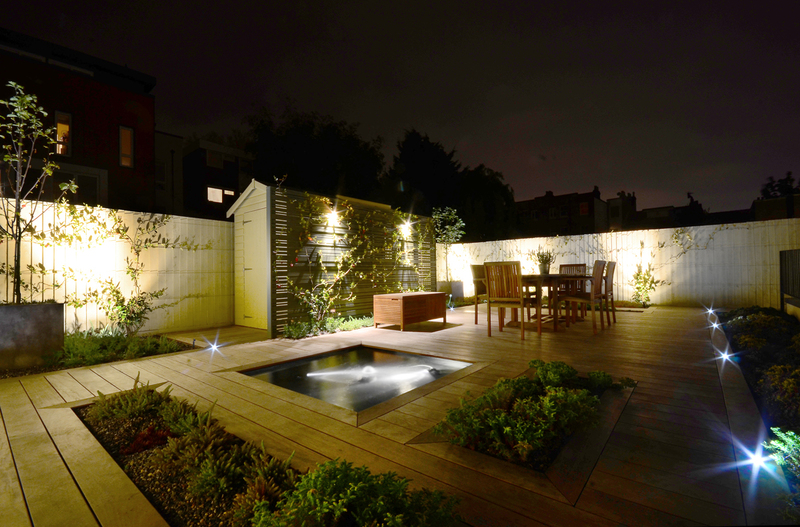 Up-lights and recessed deck lights give an impact to the space at night and an automatic irrigation system ensures water is delivered to the plants when necessary.